With Australia beckoning, our client would love to see this immaculate property sold after enjoying 9 years of ownership. 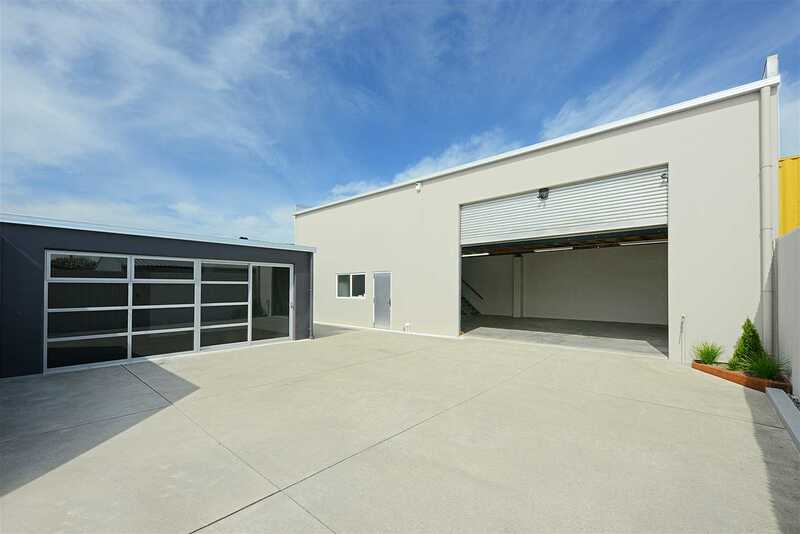 Situated on a private rear site, this warehouse/workshop with an office/showroom/studio (consented as a garage), a new owner is being sought. Purchasers will be attracted to the flexible storage and workshop options this property offers and also its proximity to the neighbouring Tannery precinct, featuring Cassels & Sons Brewery Bar and Restaurant and other eateries and stores. The warehouse/workshop is fully alarmed and the yard is also very secure. Ideally the property is suited to tradesmen, small to mid-sized businesses requiring storage and/or warehouse/workshop or somebody who has cars, motorhomes, boats and other toys to store....but don't let us limit your uses. No matter what your plans are for this tidy property, rest assured our owner is serious about selling and welcomes your inquiry. Please contact Paul or Geoff without delay to arrange a viewing.